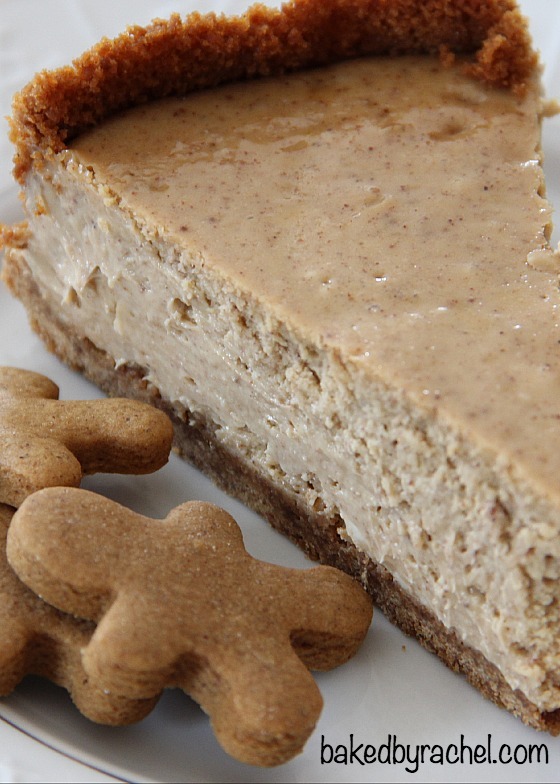 ‘Tis the season for gingerbread flavored everything. 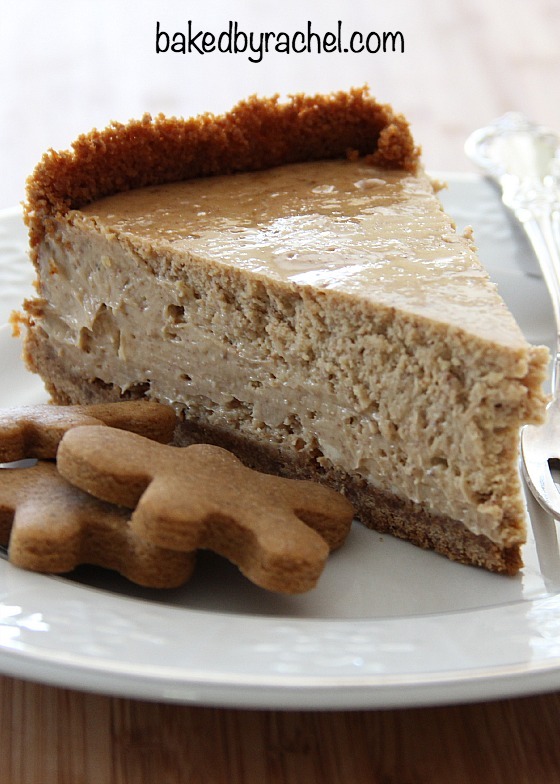 I love gingerbread, the taste and even the smell. And there’s amazing gingerbread soap too. It smells good enough to eat. But I don’t have a recipe for soap. Sorry. That you have to go and buy. I couldn’t resist it when I saw that flavor… scent… whatever online. I had to have it. Now I’m fearful that it’s going to make me crave gingerbread every time I wash my hands. So much for all the baby weight I’ve lost. Gonna pack it all back on thanks to Bath and Body Works. Enough about the soap though. 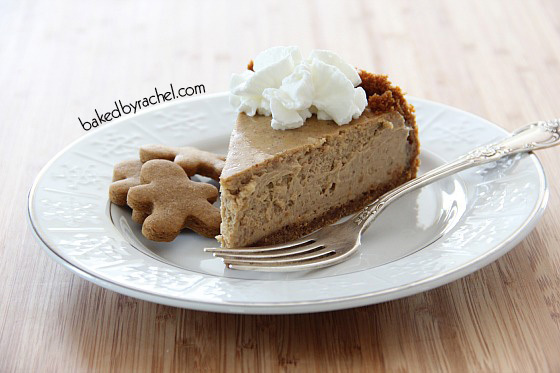 I made this cheesecake over Thanksgiving weekend and have been dying to share it with you since! 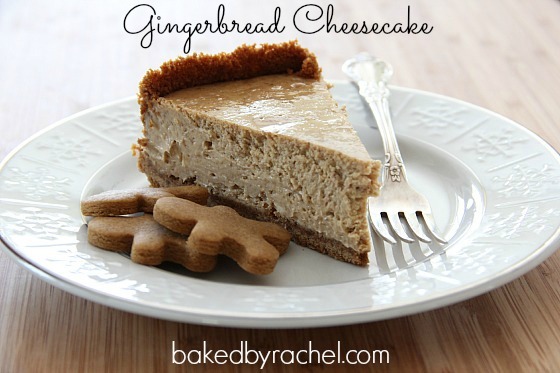 If you love gingerbread then you have to make this cheesecake. It’s inspired by a Martha Stewart recipe, adjusted and tweaked to my liking. It’s creamy and has one of the best flavors of the season. Okay I’m totally biased but that’s fine. Really though, it’s perfect. Which means all you need to do is whip one up for you and who ever you’re willing to share it with. Or keep it to yourself. I promise I won’t judge or tell. It’ll be our little secret. Prepare cookie dough (link to recipe above). Divide in half. Roll out onto a baking sheet prepared with parchment paper or a silpat. Bake at 350°F for 9-10 minutes. Remove tray from oven. Carefully cut dough up into large pieces. Continue cooking for 2-3 more minutes. Remove baking sheet, allow cooked dough to sit for several minutes. When dough has cooled down enough to handle, transfer broken squares to a food processor (or a large bag, using a rolling pin or mallet to crush). Blend until only fine crumbs remain. Measure out 2 cups worth of crumbs, set aside. Discard or store extra crumbs for future use. 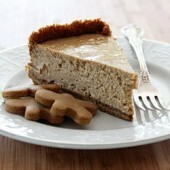 In the food processor or a large bowl, blend together cookie crumbs, melted butter and sugar. Prepare springform pan by wrapping the outside with two large sheets of tin foil, around the bottom and up the sides. Pour crust mixture into springform pan. Shake pan to dispurse cookie crumb mixture. Using a flat bottom cup or other item press down on crumb mixture to create a smooth and even crust on bottom and part way up the side of your pan. Bake at 350°F degrees for 10 minutes. Set aside to cool. In a large bowl or stand mxiture, beat cream cheese until smooth. Add sugar, cream mixture. Scrape down sides of bowl prior to each new addition and as needed. Add vanilla and eggs. Finish with the addition of spices and molasses. Place springform pan into a larger pan such as a roasting pan. Pour cheesecake filling carefully into prepared crust. Pour hot water into larger pan until water is half way up the sides of your springform pan. Very carefully place pans in oven. Bake for 45 minutes at 325°F degrees. 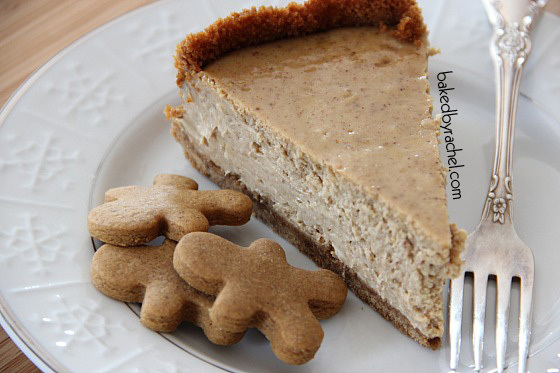 At the 45 minute mark, turn the oven off and leave the cheesecake for one hour with the door shut. No peaking! Remove cheesecake from oven and water bath. If you find it easier to remove only the cheesecake at first, remember to remove the water bath before the next time you cook or you'll have a steamy situation! Let cheesecake sit for 1-2 hours at room temperature on a wire rack. Transfer to the fridge to sit for at least 8 hours or overnight before slicing. Store chilled. 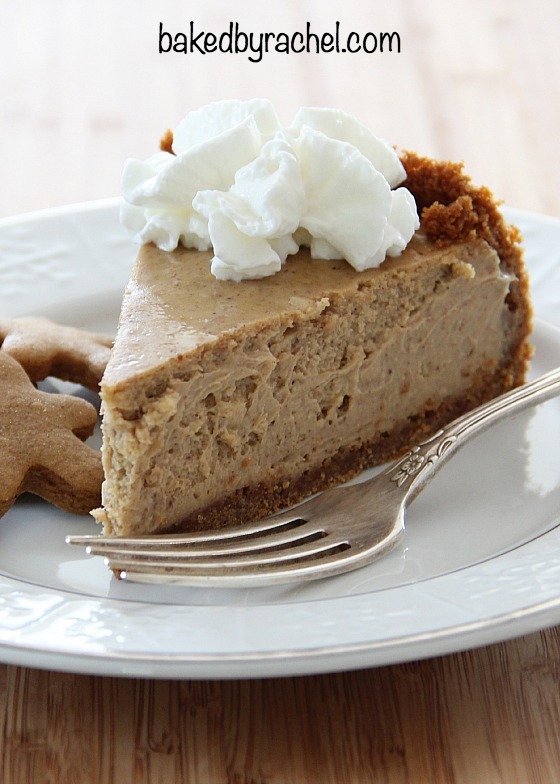 Serve with optional whipped cream and gingerbread cookies. *Halve gingerbread cookie recipe for crumbs. Save remaining half for cookies. Recipe found here. **Remove cream cheese from fridge at least 20-30 minutes before preparing cookies and filling.